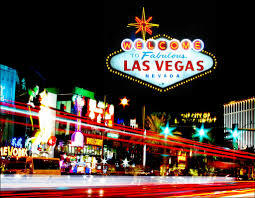 The word Vegas is synonymous with casinos and gambling. Of course, the movies, books and music have only added to that reputation. Yet there are other things that make Vegas just as interesting apart from trying your hand at the craps table. This is the oldest freestanding bar in Las Vegas to-date. It was called Virginia’s Cafe and was a viewing platform for the nuclear blasts taking place 65 miles away at the Atomic Test Site. Also, it is located on the historic Fremont Street which is but a few minutes away from the oldest family-owned hotel in Vegas. This landmark building was the federal courthouse where important hearings namely the 1950 Kefauver Hearings on Organized Crime was held. Only now, it has been converted into a museum that showcases the history of organized crime. You can see real weapons used by mob hitmen, a bullet-ridden wall from the St. Valentine’s Day Massacre as well as exhibits on wiretapping. This is one of those steakhouses that was popular in the 50s. It has hosted a number of famous people such as Mario Andretti, Joe DiMaggio, Nat King Cole, Tony “The Ant” Spilatro as well as all members of the Rat Pack. The decor as well as the food hasn’t changed all that much either. Yet it still remains one of the power dining-spots in the city. It was known as ‘Neon Boulevard’ earlier and has been open to the public since the 1930s. The collection of neon signs that it holds is the largest collection in the world. With the La Concha Motel lobby serving as its visitor center, one can also get to see signs such as the Stardust, Desert Inn and Moulin Rouge.